Hi! I'm Greg and this is my home for all things bookish and otherwise. I'm primarily a book blogger but I'm also likely, at any given time, to be talking about movies or bookstores or anything else. I've always been an avid reader and this is a way for me to share that love of reading and faraway places with likeminded souls. I enjoy fantasy the most but I also read a lot of dystopian and science fiction, as well as YA contemporaries and mysteries. My interests are pretty diverse so you'll likely see a wide range of reviews here. I like to spotlight bookstores as well, and I never met a used bookstore I didn't like! I do occasional freelance writing, I often post flash fiction, and I've written for the Knights of the Dinner Table magazine and the SF blog SFSignal. 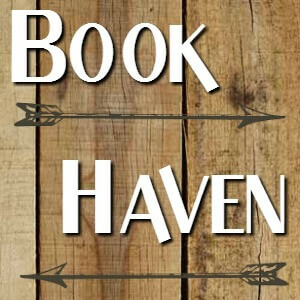 The reason I call it Book Haven is because I want it to be a place where people can find new books and also feel a sense of community. Almost as if this is a book haven of sorts. I like to imagine a place where the cares and worries of the world can be left behind for a few hours, where you can spend time in bookish solitude, or perhaps with friends before a roaring fire. A place of rest, a haven of sorts, where you can explore other worlds without leaving your overstuffed armchair. A sanctuary for bookish souls, for those who dream... perhaps it is a cozy stone cottage, or a haven like Rivendell, or even a hobbit home in the Shire. Good food, good drink, the presence of dear friends... and lots of books. The beautiful thing about the book blogging community is that there is a place for everyone- no matter your genre or your interests- there are havens, or sanctuaries, all over the Internet where people can come together. This is one of those, and welcome! My other interests include music, traveling and writing the kinds of stories I like to read. I've recently debuted a feature called Tales From Northern Michigan, where I showcase items of interest from one of my favorite areas. It might be bookstores, restaurants, points of interest- I cover things like eagle rescues and northern lights sightings- you name it. Anything might appear! Including bookstores! And over the years that I've been book blogging I've been interviewed or spotlighted a few times- here's a small sampling if you want to know a bit more about me. When I was a kid, I loved Trixie Belden! I even wanted to change my name to Trixie, and I made my family call me that for at least a month. Lol. Super excited because I'm finally picking up Lord of the Rings this summer. Should be fun!